It’s hard to believe this really happened. So hard that, although sensible people might normally ignore these things, this demanded investigation. Within a couple of hours of the event, which took place during FBI Agent Peter Strzok’s testimony to the House Judiciary Committee on Thursday, this video clip was all over social media (figuring, as tweep @Hollybowie predicted, in GIFs). 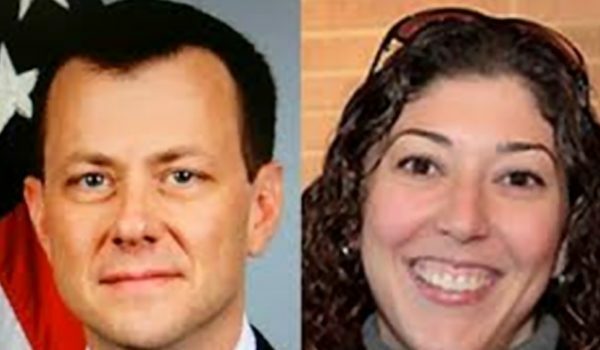 Is it possible that the 48-year-old Strzok, a 22-year veteran of the FBI, and – only 18 months ago – the Deputy Assistant Director of the Bureau’s Counterespionage Division, was actually simpering in a congressional hearing like a Mean Girl slam-dunking a high school rival? Some users on social media were understandably skeptical. They asked if this video clip could have been doctored in some way. Surely a federal official wasn’t acting like this in a hearing before the U.S. House of Representatives. Right? 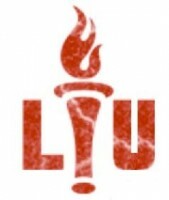 LU is at your service to check on such things, starting with original, uncut video from livestreams posted at YouTube. There’s a time hack on the clip in the tweet: 3:20 PM Pacific, or 6:20 PM Eastern. That made it easier to track the video passage down. It’s there just after the 2:20:00 mark in this video, livestreamed by Fox 10 Phoenix during the hearing. Walker’s question session immediately preceded a session with Rep. Jim Jordan (R-OH). After Jordan concluded, Committee Chairman Bob Goodlatte (R-VA) was giving the final seconds of Jordan’s time for Strzok to add to his answer to the question from Walker, to which Strzok took exception. 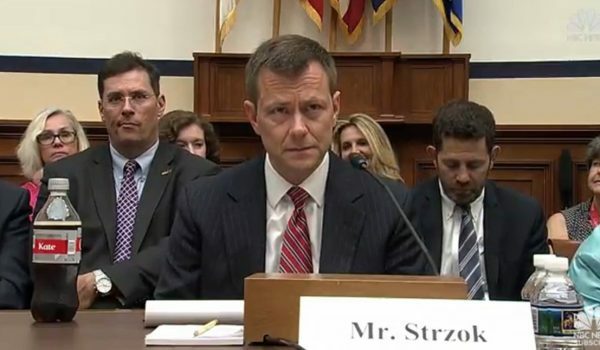 THE GENTLEMAN [Strzok] MAY BRIEFLY ANSWER THE QUESTION THAT THE GENTLEMAN FELT HE DIDN’T HAVE AN OPPORTUNITY TO ANSWER WITH MR. WALKER. YES, SIR, THANK YOU, I WANTED TO ADDRESS WHEN YOU BRING UP AN INTEGRITY ISSUE. IT IS INTERESTING YOU AND THE GENTLEMAN FROM TEXAS RAISED THIS IN A WAY THAT ALMOST, YOU KNOW, APPROACHES — IT IS INSULTING. THE GENTLEMAN MAY ANSWER THE QUESTION. YOUR PERSONAL LIFE, I JUST SIMPLY SAID THE AMOUNT OF TIME YOU WERE SPENDING ON TAXPAYERS DOLLAR THAT YOU WASTED WHEN YOU WERE TEXTING BACK AND FORTH IS A PROBLEM. NOW THE GENTLEMAN FROM MARYLAND IS RECOGNIZED FOR FIVE MINUTES. When he made the weird face, Strzok had just finished protesting his integrity. This seems to render it doubly strange that he made the kind of face that he, as an experienced law enforcement officer, has to know conveys the opposite of integrity. Walker is correct about what he himself said, incidentally, which can be verified by checking his question period just before Jordan’s. 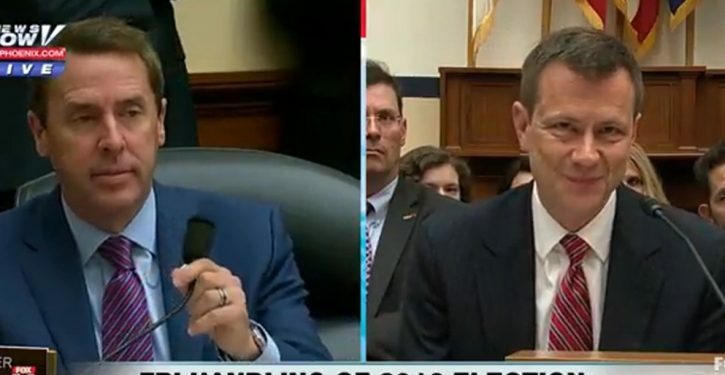 It appears that Strzok conflated Walker’s criticism of his texting habits with concerns from earlier questioners about his (Strzok’s) truthfulness, in order to get a few free seconds to complain that his integrity was being insulted.